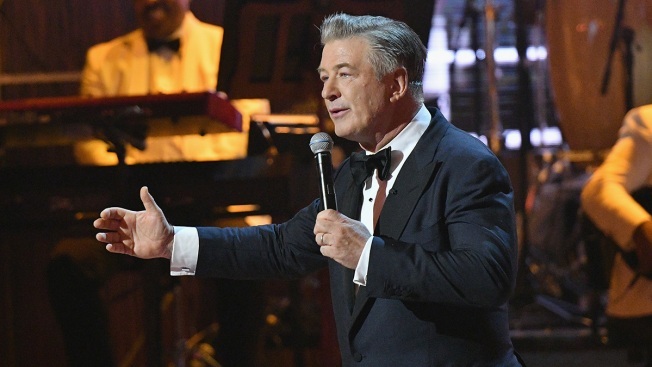 Actor Alec Baldwin has been sharply criticized by a leading disability organization for his role in the upcoming film "Blind." Alec Baldwin's portrayal as a blind man in an upcoming film has been equated to wearing "blackface," by a leading disability organziation. The Ruderman Family Foundation condemned the actor's performance as a blind man in the upcoming film "Blind," according to a statement released by the organization. "Alec Baldwin in 'Blind' is just the latest example of treating disability as a costume," said Jay Ruderman, the foundation's president. Ruderman added that the term "crip-face" could be used to describe Baldwin’s portrayal, making an equivalent term to the common term "blackface." Baldwin's character in the film becomes blind and loses his wife in a car accident. The character then meets a socialite, played by Demi Moore, who reads to Baldwin's character. The actor is not the first to play a blind character. Jamie Foxx and Al Pacino both portrayed blind men in their roles in "Ray," and "Scent of a Woman," respectively. Research by the Ruderman Family Foundation has found that 95 percent of characters with disabilities were played by those without, and half of Academy Awards for Best Actor roles have been awarded to able-bodied men. "We no longer find it acceptable for white actors to portray black characters," Ruderman said. "Disability as a costume needs to also become universally unacceptable." The film "Blind" will be in theaters July 14.